Email capture is a very important part of our online marketing strategy. While it’s easy to just focus on ”free” traffic from SEO, we don’t want to sleep on email marketing. Yes, it’s great to get “free” traffic, and I believe in it wholeheartedly. SEO is the main source of traffic to Jeffalytics, hands down. But for my other websites that are just getting off the ground, email is actually a major source of traffic. 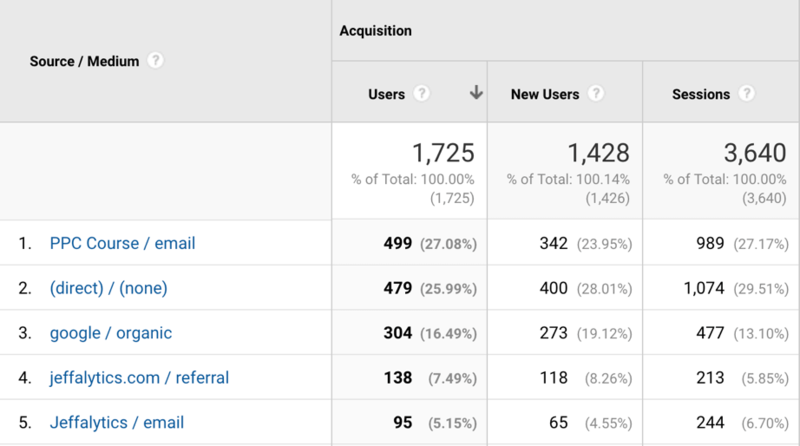 For example, one of our course sites gets more traffic from email than organic search. While SEO has a higher celling on the amount of traffic you can get, you shouldn’t overlook email. It can be a major source of traffic for your website at all phases of the customer journey. Another great thing about email as a traffic source is that it’s a renewable resource. It is renewable because you can reach out to your subscribers anytime you have something new to share. Email visitors are a traffic source that keeps coming back to your website over and over again. Generally speaking, organic search is a one-off relationship. But email marketing is the opposite of that. Email marketing allows you to turn a one time website visitor into a follower. 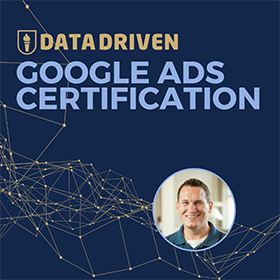 You also get to build 1-on-1 relationships with people through email that couldn’t happen with organic search traffic. And as the relationship progresses, they might go from being just a prospect to a customer. Growing your email list all starts with email capture on your website. The aim is to convert your organic search traffic into email addresses, and from there you can form an on-going relationship. Here’s a related post I wrote on this topic about getting more leads from existing traffic. For us, capturing leads consists of 2 simple steps. Our download button is an invitation for people to download our lead magnets. We display it prominently on several pages on Jeffalytics. This mechanism is usually in the form of a popup. After clicking on the download button, the popup appears, prompting visitors for their email address (and usually the visitor’s name). The results of this 2-step lead capturing process have been tremendous. Some of our lead magnets convert over 50% of the visitors that see our opt-in box. Our simple lead capture process has lead to thousands upon thousands of new email sign-ups. For some pages, organic search conversion rates are upwards of 25% of visitors! A 25% rate from organic search to email addresses? Pretty good stuff! We’ve used this same lead generation strategy for years, but we’ve recently upgraded our technology stack. It used to be a combination of Google Analytics, LeadPages and ActiveCampaign. Now? 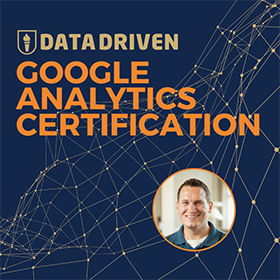 We use Google Analytics, Thrive Leads and Drip. We’ve talked about why we made the switch to Drip, and we’ll now talk about why we made the switch to Thrive Leads. Here are the main reasons why we made the switch from LeadPages to Thrive Leads. We like that we can edit and customize the look and feel of the lead capturing mechanism. From a design perspective, Thrive Leads is extremely flexible. We can use the variety of templates available or customize them to our needs. As we’re building lead capture mechanisms on different websites, having this ability to customize really helped us to streamline and adapt them for different brands. All our websites are built on top of WordPress. Thrive Leads is a plugin that’s specifically built for the WordPress platform. With this native integration, the lead capture mechanisms are built within WordPress and eliminate an extra step in data collection. Thrive Leads also has a dashboard within WordPress. This dashboard shows us how our lead capture mechanisms are performing. We don’t need to rely on external systems or softwares to track our results. Thrive Leads is part of the suite of plugins, which together is called Thrive Themes. Thrive Leads comes with our subscription to Thrive Themes. We use a number of the other plugins from the suite, so the pricing works out well. And because we love the suite of plugins in Thrive Themes, it’s just an extra bonus that we find so much use in this particular plugin. So far, we love everything Thrive Themes has to offer. Let’s start by looking at the type of email capture methods Thrive Leads has to offer. There’s 4 types of Thrive Leads forms: Lead Groups, Lead Shortcodes, ThriveBoxes and Signup Segue. 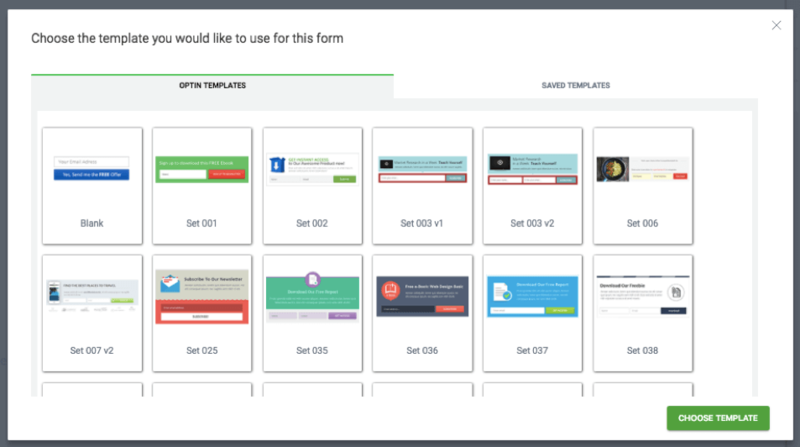 Lead Groups offer multiple types of opt-in forms you can add into your content. As you can see from the visual below you have lots of options. 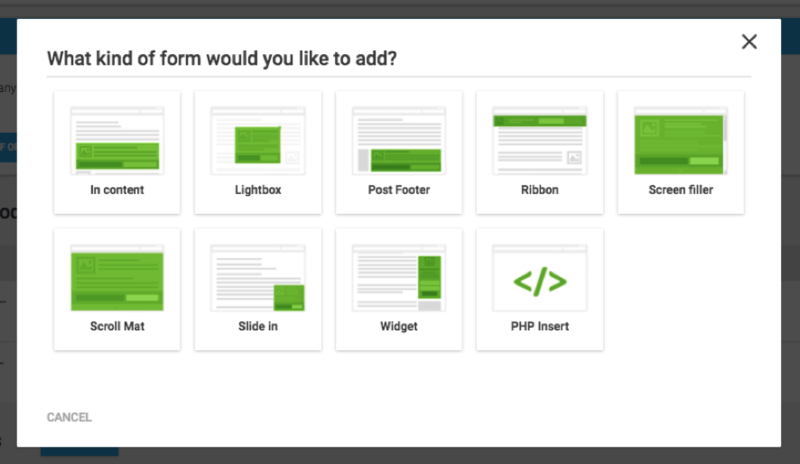 And Thrive shows you exactly where these forms are meant to display on your site. Thrive’s native integration with WordPress makes it super easy to set your Lead Groups live. 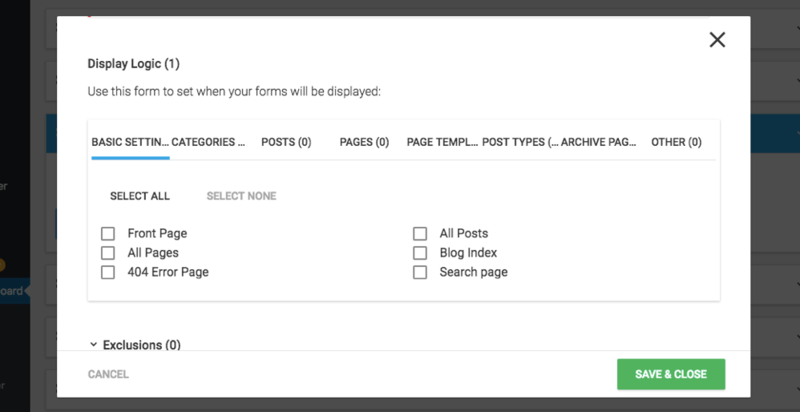 You can select which page(s) or post(s) you want your Lead Group to display by simply checking a box. You also have control over the triggers and display frequency of Lead Groups. There are a lot of Lead Group trigger options to choose from. You can set your email capture display on button click, scroll depth, exit intent, etc. The frequency features allow you to increase, or limit how often your Lead Group displays. I love this feature because it allows me to improve the visitor experience on my website. I can choose not display lead forms to visitors that have previously opted-in. And I can limit how often my Lead Groups show up so I don’t fatigue my audience. Lead Shortcodes are snippets of code you can add in to any WordPress piece of content. Shortcodes give you the flexibility to add your email opt-in to just about any area of your website. 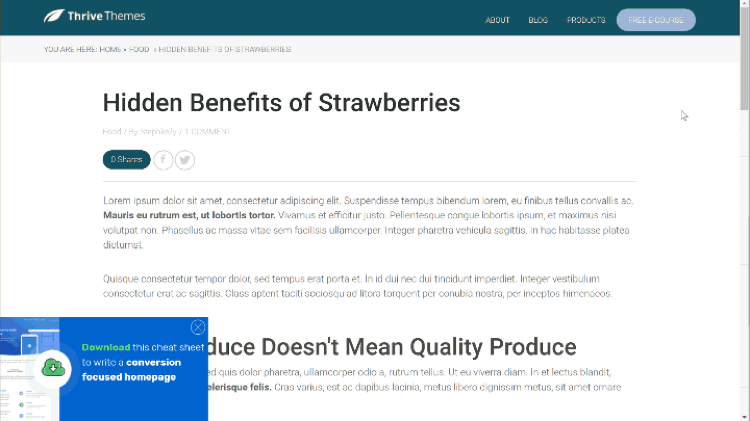 You can add Shortcodes by simply copying and pasting the code right into your WorPress posts. Or you can embed them in a section of a web page using Thrive Architect (which is another plugin from the Thrive Themes suite). A powerful feature of the Lead Shortcode is that you can lockdown content. By wrapping the code around a piece of content (which could be text, image or something else), you’re guarding it behind a lead capture form. Your website visitor needs to opt into that form in order to view that piece of content. With this feature, you’re basically saying give me your email address to get access to the content. ThriveBoxes display based on a trigger action. Just like Lead Groups the trigger can be a button click, scrolling, exit intent, etc. ThriveBoxes are different from shortcodes because they are based on visitor behavior. Lead Shortcodes remain static where ever you embed them. One of the cool features of the ThriveBoxes is the ability to animate the lead capture form. 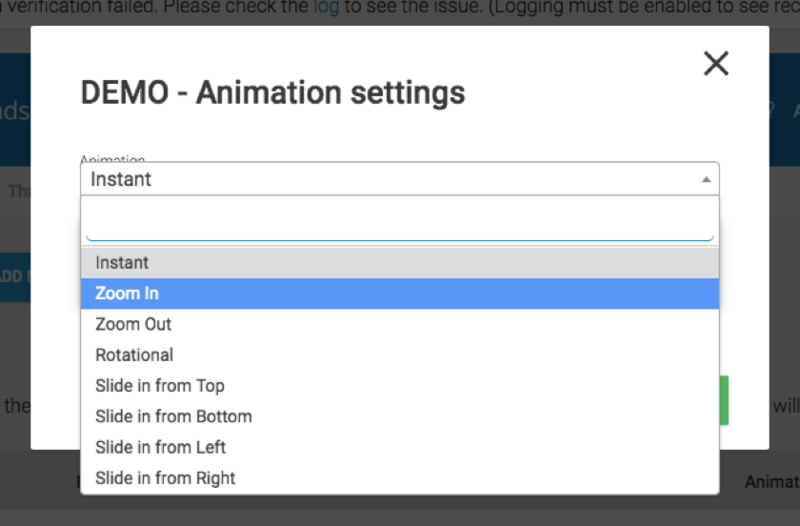 You can choose from a list of animation effects, including slide-in, pop-up, and rotate. Animation is great way to draw attention to your opt-in boxes. A Signup Segue allows you to develop one-click sign ups to let your existing subscribers opt into an additional list. Since we know who our subscribers are, we don’t want to ask them to sign-up again. So we have them join another list without having to re-enter their name and email address. You can use this feature as a one-click RSVP to an event or product launch. My favorite feature of the Signup Segue is the ability to redirect someone to a specific page after they’ve signed up (by just clicking on a button). There are others cool features you’ll find in Thrive Leads. Here are just a few of our favorites. Already Subscribed State: You can set a different state on your form for someone who’s already subscribed. So instead of showing the form, you can display a message reminding them that they’ve already opted in. This way there’s no confusion. Our website knows when a visitor has subscribed, and we don’t bother them again with the lead capture form. 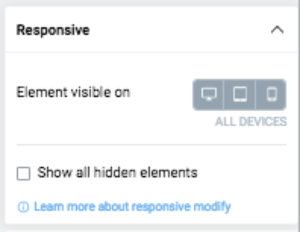 Responsive settings: In Thrive Leads, everything is built with responsiveness in mind. In the editor, you can customize the design by device. 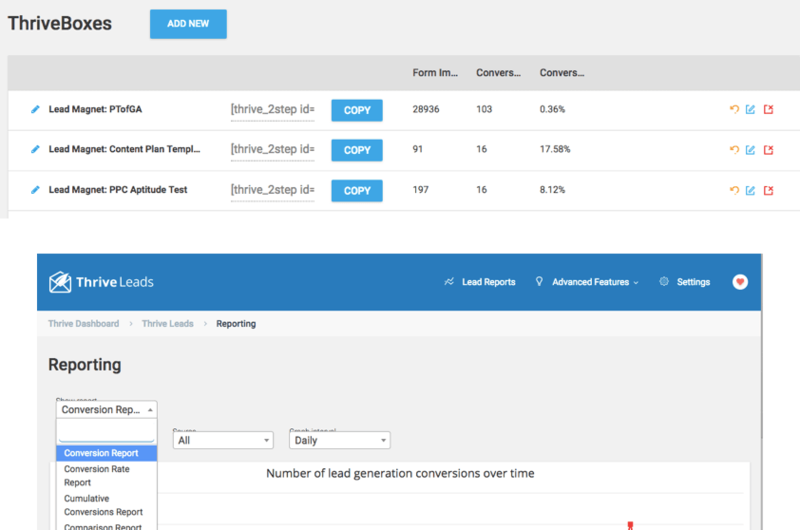 A/B Testing: You can do A/B testing within each of the lead capture forms. 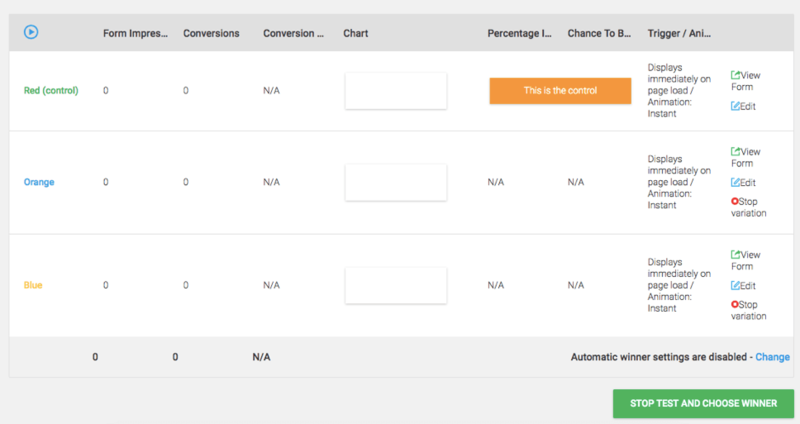 A/B testing checks which variation of the form works better based on email capture conversion rate. Form Analytics: For each of the forms, you’ll get analytics on how they perform. Based on their conversion rate, you’re able to make adjustments accordingly. Sticky Slide-In: This is one of my recent favorites. It’s called sticky because it doesn’t go away. The Sticky Slide-In remains on the screen even after the visitor clicks on the close button. The close button is actually just a shrink button, shrinking the lead capture banner into a smaller but still visible version. And once the visitor is ready to respond to your call-to-action (e.g. 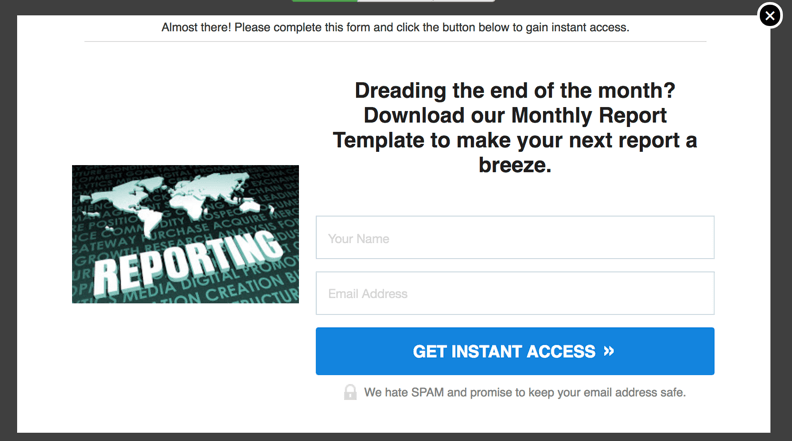 download a report), they can click on the banner and resume the lead capturing process. We look forward to implementing this feature very soon. Thrive Leads keeps on developing more powerful features. They share the latest developments and product upgrades on their very active blog and email list. We get excited every time we see those emails in our inboxes. By now, you’ve figured out that we love Thrive Leads. And they love us too! 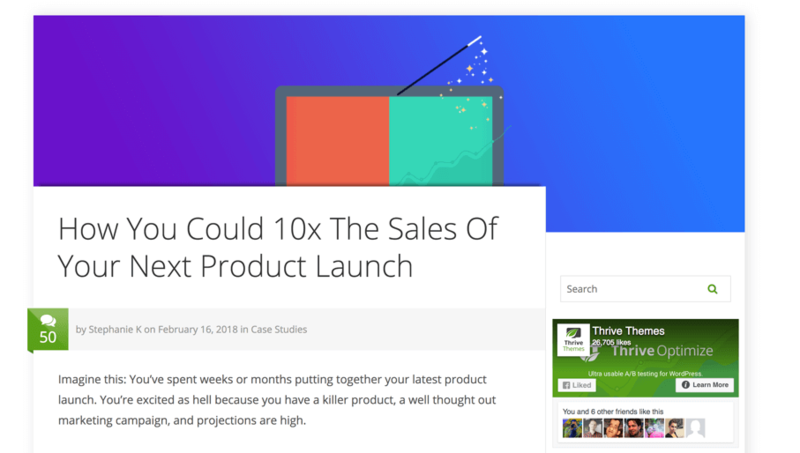 They wrote a case study about our $100k product launch on their blog post. 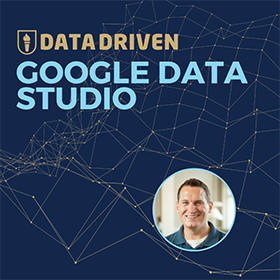 The case study details how we plan, structure and build our product launch using their suite of plugins. If reading this did anything to pump you up about how awesome Thrive Leads is, then why not give Thrive Leads a try? What tools do you use to capture leads on your website? Comment below about how you’re building your own lead capture machine. This post and video was episode 56 in our 90 Day Challenge digital marketing series.